The sun shines — you know it has always shone, changeless as Time itself. With such a faith — unfounded and therefore incontestable — I came under the glow of one brave June morning, threading field after field of blossoming clover until I stood at the gate of the bee-garden over against the hill. I raised the latch of the gate. Its sharp click drew to its full lean height a figure at the end of the garden, which was bending down in the midst of a wilderness of hives. The man came towards me coatless, his rolled-up shirt-sleeves baring wiry brown arms to the hot June sun. 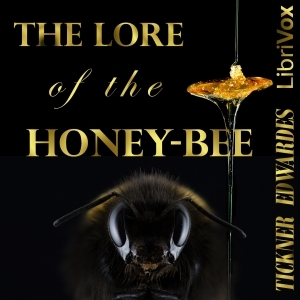 The Lore of the Honey-Bee is an enlightening study written by a master beekeeper, the Reverend Tickner Edwardes, that covers the story of the honey bee from the earliest times through to the first decade of the twentieth century.